If there’s one thing that sets the Hogwarts Herbology aside from a regular greenhouse, it’s the screeching mandrakes as they’re pulled from the soil. After your Hogwarts party is long finished, I can honestly say having a mandrake on your shelf as part of your home decor is pretty fabulous, and makes the work well worth it. 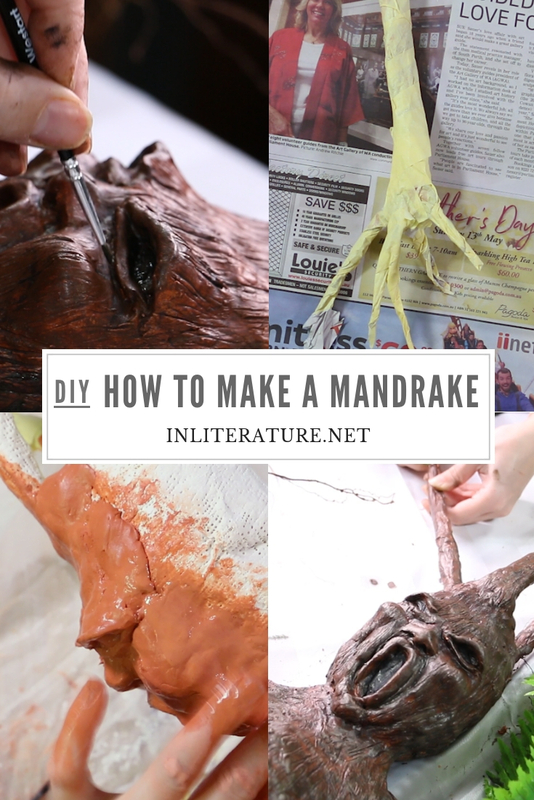 So here’s a step by step on how to make your own mandrakes. reference photos of mandrakes. This could be screenshots from the movie on the mandrake’s face, or make a face in the mirror and take a photo. Seeing how your face scrunches will make it easier to figure out what creases, folds or build-up need to happen. 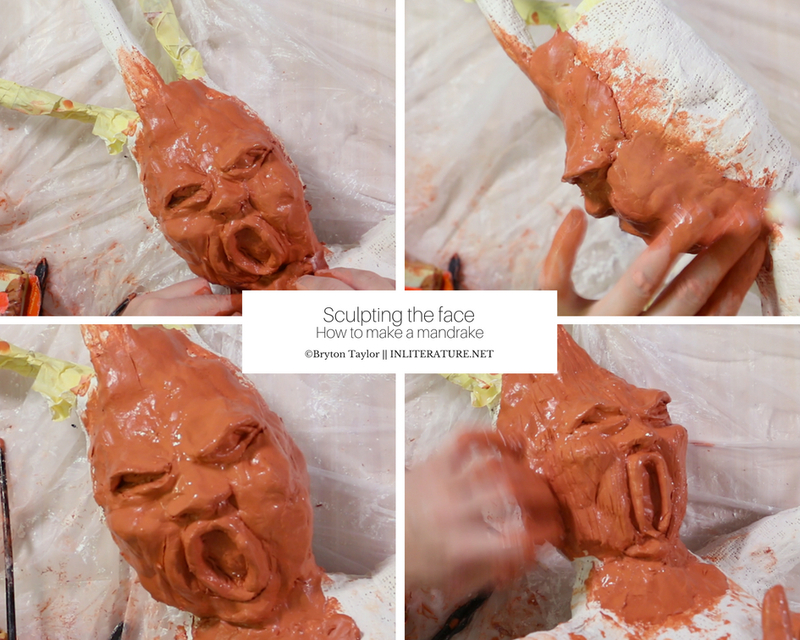 If this is your first time sculpting, don’t panic or give up if the mandrake face doesn’t work out quite the way you expected. 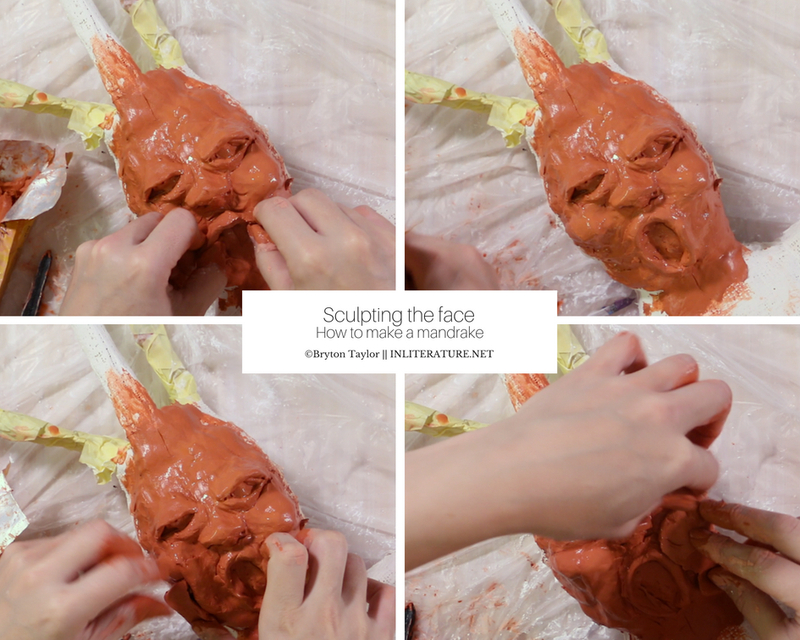 You can always keep the clay damp by spritzing with water and wrapping the mandrake face in cling wrap. Keep coming back and working on him until you feel he’s more what you hoped for. Just remember, because we’re using newspaper and masking tape, you can keep adjusting when you work on this later to get the body shape you want. But remember to take your time to get it right- once you start putting on clay, it’s harder to adjust, or at least more expensive as you’ll be using clay to build. Start to scrunching up newspaper. Make one ball for the mandrake head and another in an oval shape for the body. Use the masking tape to wrap the newspaper tightly and securely. 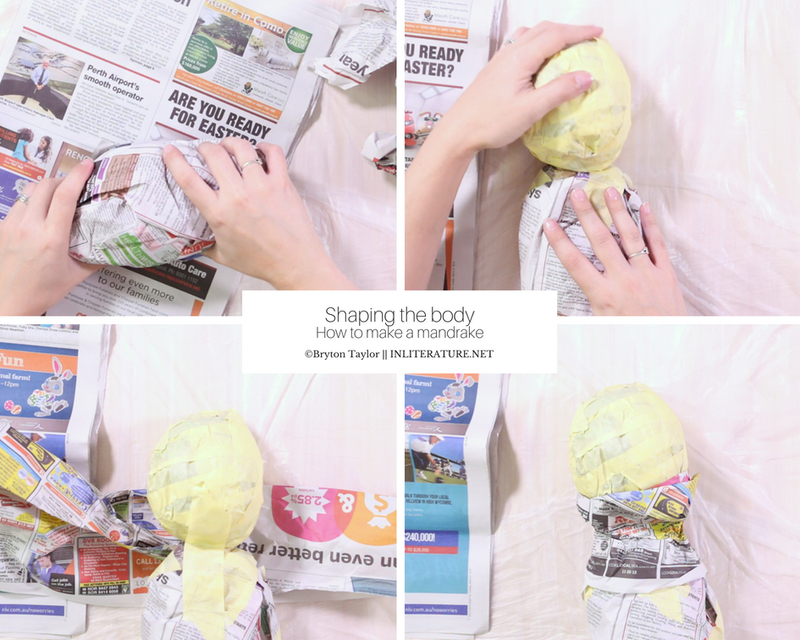 Attach the head to the body with masking tape and use a sheet of scrunched newspaper to create a ‘neck brace’. Use more tape to attach. Scrunch more newspaper to create a ‘grinch belly’ for your mandrake. Use tape to hold in place. To make the arms and legs, take three sheets of newspaper and scrunch them into a long ‘log’ piece. Tightly wrap masking tape up the entire length of the newspaper roll (leave a few centimetres at each end free of tape). For the ‘fingers’ / roots, tear the ends into 3 or 5 pieces, and wrap tape around each root end. Use more tape and twist the tape onto itself at the end of the finger/root to make a really tapered end. Because this is inspired by nature, not all of the mandrake’s roots will come out all at one point, so take 2 of the roots and tape them together to halfway up, so they gradually ‘split’ further up, rather than all at one point. If you feel the roots are too short, add more masking tape and just wrap to lengthen. Hold the arms in place. The arms should be lower from the mandrake’s neck, so when we pad his body out later, he ends up with shoulders, not arms coming out of the neck. 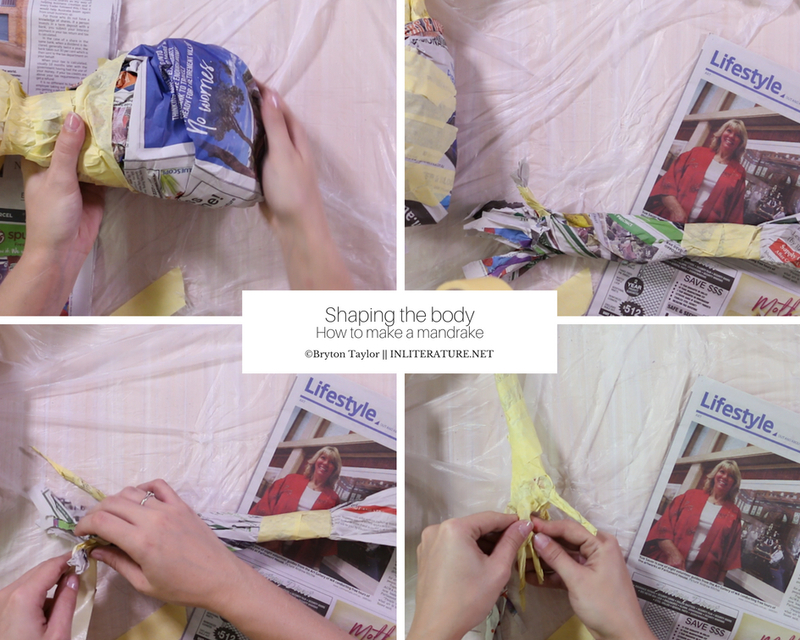 Use an X shape with the tape to adhere the arms to the body. 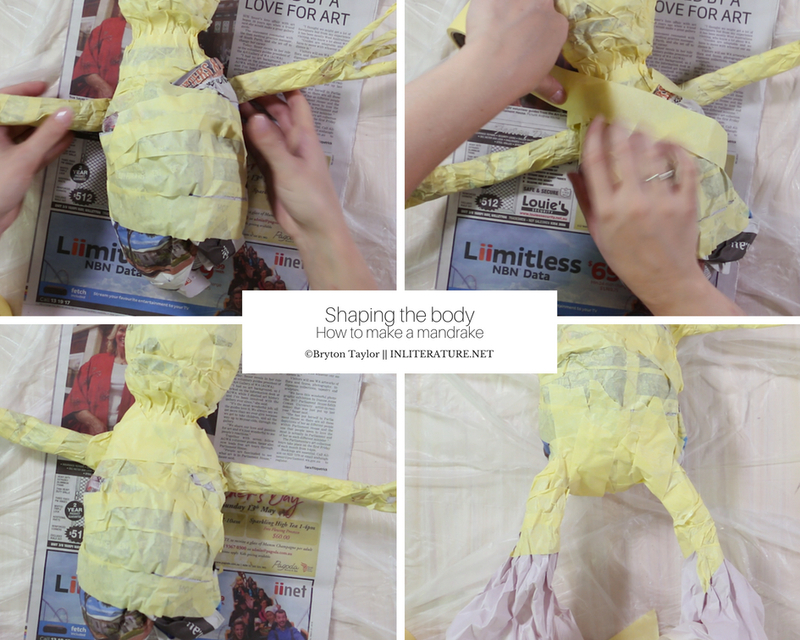 Fold the legs in a U shape and attach to the bottom of the body using masking tape. Use metal wire if you want to shape the arms, attaching a long piece from left to right. To make the mandrake stems, scrunch two ‘logs’ of newspaper made of 2-3 pieces each. Lay one down on top of the other to make an X, then fold one of the X arms over the middle, and under, and back around to create a flat base for stability. Use masking tape to tape the stems so they sit upright. Continue wrapping the masking tape up each stem, stopping a few centimetres from the top. Place the flat base of the stems onto the top of the mandrake’s head and use masking tape to attach, taping it down and around the head. 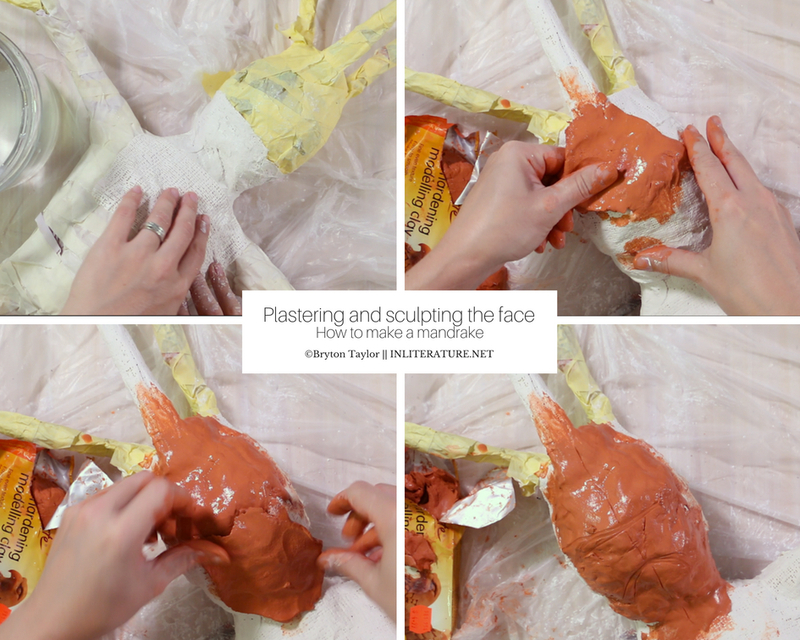 Now we have the mandrake shape in place, start to fill out the body with more masking tape and newspaper. Plump out the body to make the mandrake more ‘chubby baby’, adding padding around the arms to create shoulders and legs. Lay down plastic on your table so you don’t make a mess and bring out your plaster of Paris bandages and a bowl of water. Cut the bandages into smaller pieces– I started by cutting them about 10 cm in length and then cutting them down to smaller sizes depending on what I was wrapping. Dip one bandage in the water, then use your fingers to squeeze excess water off as you pull the bandage out of the water. 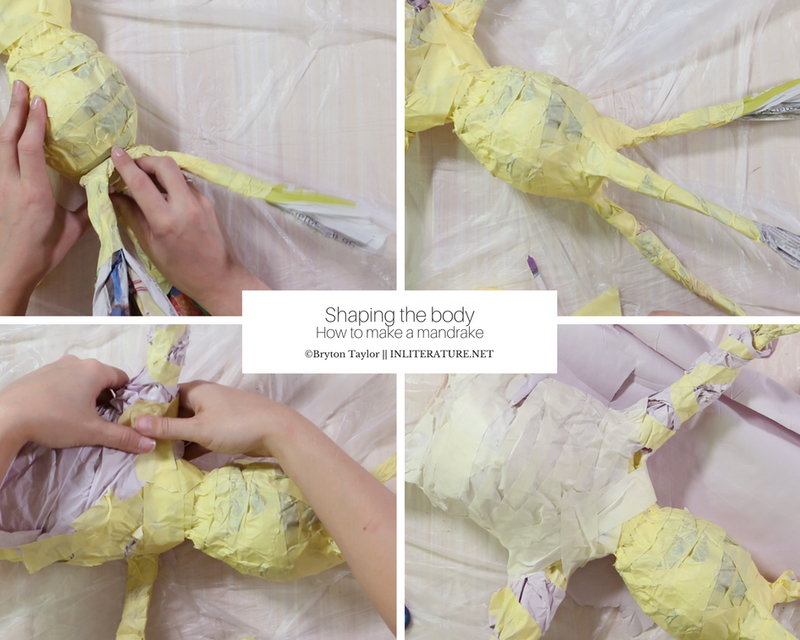 Press the bandage onto the body, repeating until the whole body is covered. Stop wrapping the plaster before it gets to the roots and end of the stems, as it’ll thicken the area up too much. You’ll end up using paint later to blend it all together. Set your mandrake aside to dry. Once your mandrake is dry, tear off a piece of air dry clay and soften it between your hands, using a dab of water to make it easier to mold. Making the clay 1 cm thick, cover the whole body in clay, working in small sections as you go. I use the back of my thumbnail to smooth the sections together. If you’re going to walk away, make sure you mist with water and wrap with cling wrap to keep your mandrake from drying out. 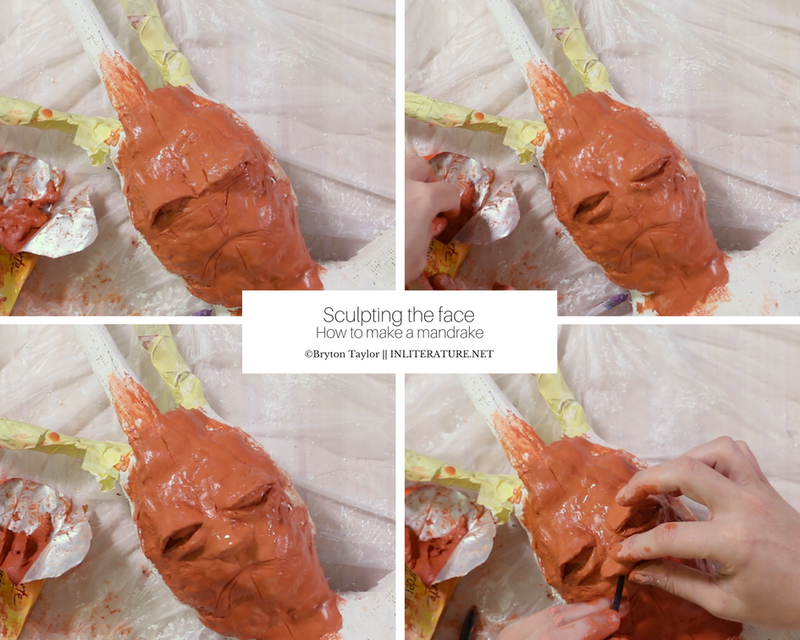 To work on the mandrake face, I’d suggest watching my video as it’s slightly difficult to explain (especially since I’m not a sculpture). Make sure you have a reference image or two to work from. When you start, draw a line down the middle and across the middle. That across the middle line is where the eyes will be, as that’s where eyes are placed, not up near the top of your head. When you’ve finished covering the whole body in clay, take your nails and lightly scratch the clay to create a rough uneven texture like bark. Where the stems and roots are, water down a little bit of clay so it’s just colour, and use it to colour the ends of the roots and stems. Take scissors and cut the tops of the stems and push scissors down the centre to make a tube, so later we can push in the faux foliage. Once you’re finished, set your mandrake aside to dry. Once dry, take some masking tape and attach the dried (real) roots to the end of the masking tape/newspaper roots. To paint, start by mixing a raw umber and a touch of burnt Sienna and a splash of water, and use a brush to paint over the whole mandrake. Make sure you use the paint to blend the body with the real roots that you’ve attached. Make sure he is completely dry before you move onto the next stage, otherwise you’ll get a mush of colours. Next, you’ll mix together a raw umber and a touch of black and add plenty of water. 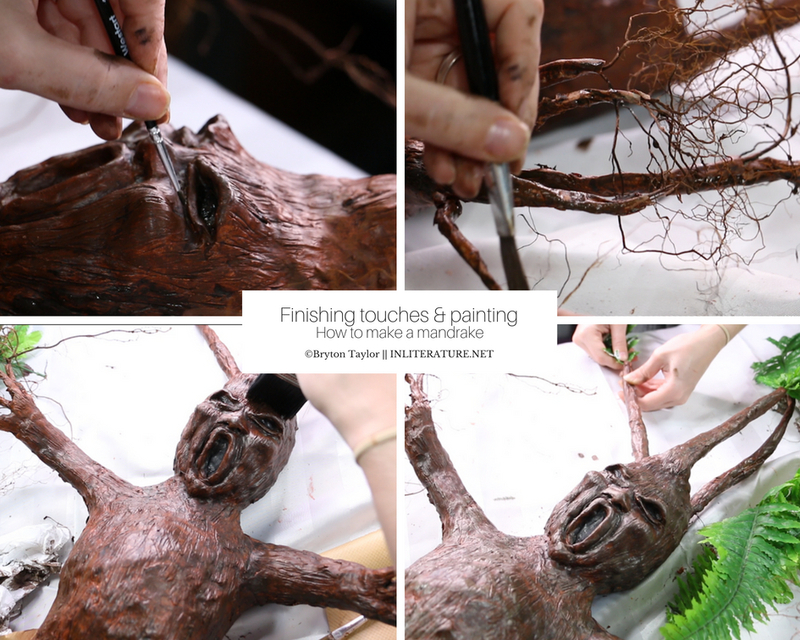 Use a paintbrush to paint over a section of the mandrake, then take a paper towel or old rag and wipe off the paint. What should be left is paint that has gotten into the texture that we’ve created with our nails (that bark texture), helping to emphasize the detail. So you don’t want the paint too watery, but just enough where it automatically gets into those deep grooves. Then move onto another section of there mandrake until you’ve covered and wiped the whole figure. You might want to go back into the face area to emphasize the eyes, nose and mouth more with some black paint and a small paintbrush. Again, let the mandrake dry. To finish off the highlights, you’ll want to use a dry paintbrush, dab some ashy yellow and raw umber and blot some off, then brush lightly over the mandrake using a large paintbrush, focusing on the highlights areas- the forehead area, tops of the eyelids, nose, cheekbones– where light would normally hit. You can also run the brush over the body gently, so it adds just a bit of depth. To finish off, press the faux foliage into the tops of the stems, then pop your mandrake into a big pot from the garden centre with a ‘warning: mandrake’ signage. If you’ve gotten to the bottom of this tutorial and thought, yikes! Don’t panic. Just take it step by step and take your time making your mandrake. 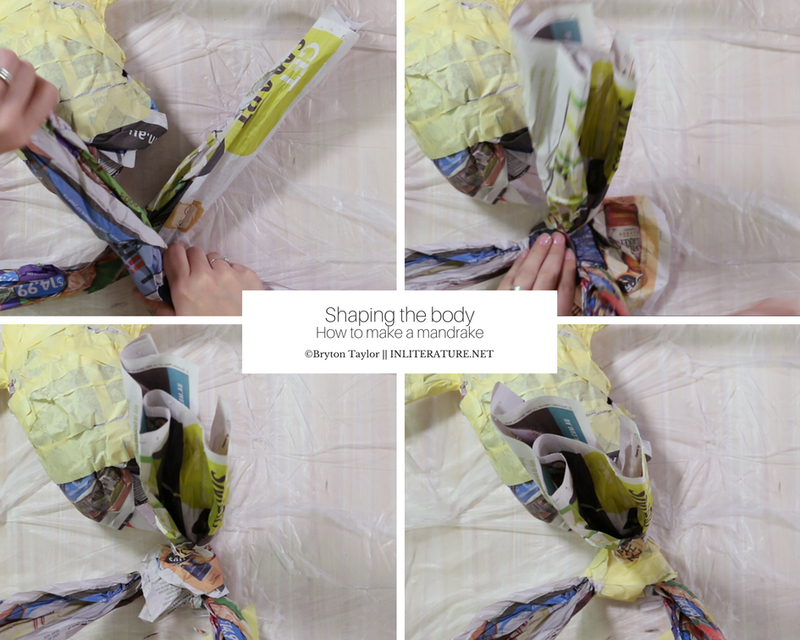 Get the body built up with newspaper and masking tape first–and if you feel this step didn’t work out, you can add or take away, or simply start over. If your mandrake’s face doesn’t work out, just mist him with some water, wrap him in cling wrap and come back to him later. 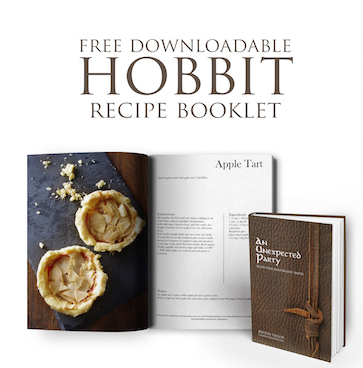 And don’t forget to share your mandrake with me! Just tag me on Instagram @brytontaylor.